”The Goonies II” was released in North America on the NES, and it was quite the game. Most notable were the, you guessed it, odd English translations. Notable sentences include the lines “Ouch! What Do You Do?” when you hit someone, and “I’m Eskimo. There’s nothing here” when you…meet an Eskimo in an empty room. There is also the “warp room” and the ending which both have some odd translation. There is also a bit of self-reference (specifically, a phrase that comes out as something like, “It’s fun to play The Goonies 2!”), but I can’t find a screenshot of it anywhere. I guess the question is, what do these say in the original Japanese version? Also, was The Goonies a more popular movie in Japan than in North America? I’ve never completed this game, but I do have fond, yet jumbled memories of it. So now’s a good time to take a look at these lines! One of the first-person rooms has an Eskimo who seems to be there for no good reason. I am an Eskimo. You didn’t call for me? Oops. My mistake. I’m Eskimo. There’s nothing here. Hitoshi Ueki and his fellow comedians had an old variety comedy show called “Shabondama Holiday” (“Bubble Holiday”). Many of these shows aired live and contained short comedy skits. During one show, Ueki’s apprentice made a mistake and told Ueki he needed to go on stage one skit too soon. Ueki wound up walking into a skit that he had no part in, so everyone was confused when they saw him. Before running off the stage, Ueki quickly ad-libbed the line, “Oh, you didn’t call for me? Oops. My mistake.” The staff and the audience laughed so much that the phrase became a regular gag for the rest of the show’s 11-year run. Hitoshi Ueki was a very famous and influential entertainer, so it’s no wonder that some of his work has appeared in video games. There’s even a reference to him in MOTHER 2! I dedicate an entire page to the topic in my EarthBound Legends of Localization book! You can also hit characters in the game. If you hit the Eskimo, for example, he says something silly-sounding in English. Oww!! What are you doing?!! Ouch! What do you do? The Japanese line sounds like normal, everyday text. The oddness in the English line was most likely due to a non-native English speaker translating the game or due to space limitations. Some old men in the game will warp the main character to different areas. You’ve done well to come here. This is a warp room!! Welcome here. This is a warp zone. The English line isn’t too bizarre, although it definitely sounds a bit unusual. In Japanese, the old man speaks in a unique style that’s associated with olden times. Incidentally, if you ever see the phrase “you’ve done well to come” or “you’ve come well” in a Japanese-to-English translation like I’ve written above, that’s because it’s a common phrase in Japanese entertainment that sounds odd in a literal English translation. More often than not it simply means “welcome” in English. Robert mentioned that there’s a semi-secret self-referential line in the game. After some searching, I discovered that it appears after opening a pointless safe near the end of the game. Even more fun than the last one! Goonies 2! It’s fun to play The Goonies 2. This first Goonies game wasn’t released on the NES, so the Goonies II localizer rewrote this line slightly to remove the reference. There’s so little text space that it probably would’ve been hard to include a full translation anyway. Even though the first game wasn’t released on the NES, I’ve heard it was released as an arcade game. I wonder if Goonies II got an arcade version too, and if its script is any different from the NES’ script. As for the movie’s popularity in Japan, I don’t have any numbers or figures to share at the moment but it’s always struck me as very well known in Japan. I’d say it’s on par with its popularity in the United States and elsewhere. Japanese audiences love stories about groups of kids having adventures together and growing up a little bit by the time it’s all over. So there you go! I think Robert sent this question in about two years ago, but hopefully it’s helpful and interesting info. Speaking of which, while researching all of this I came across another guy who takes a detailed look at Japanese and English games. He has a good article about The Goonies II , so check it out here if you’re hungry for more. This game's notoriously bad translation is somehow an improvement over the original. Here's why. Was it common for Japanese developers to translate their own games? I was reading through an interview with Quintet where they talked about how hard it was to go through the games with a Japanese-to-whatever-European-language dictionary and change everything into a language that they didn’t actually understand. Which begs the question of why they were doing that themselves. It was very common, well into the 90s. Even now it’s not unheard of. Game translation used to be a case of the developers saying, “Okay, we got this game done, maybe we should release it in English. Who do we know who knows English?” And then maybe someone at the office, like the secretary, might know some basic English. 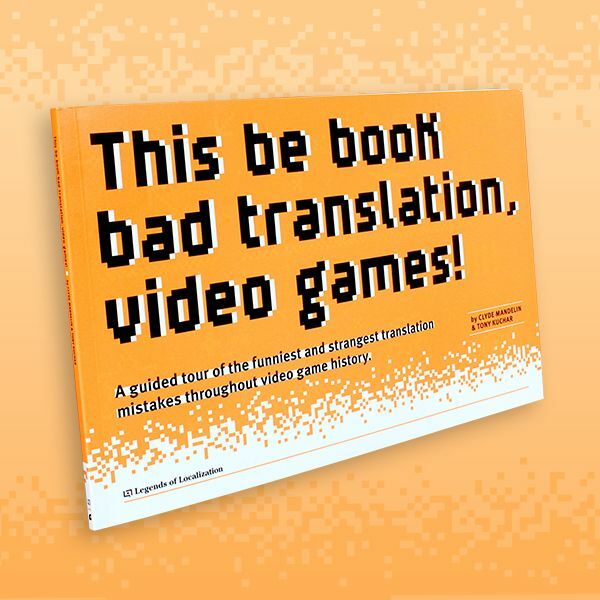 Nowadays there are lots of companies + freelancers that developers/publishers can outsource that same translation work to. As soon as I got to the part about the Hitoshi Ueki bit I started googling, trying to find it. Defeated, I came back to the article to finish it and I find you translated a video clip! Haha, glad to hear that you did your own research on the guy thanks to this post. There’s so very little English info about this sort of stuff, so I’m glad I’m able to help share it. While we’re talking about Hitoshi Ueki, how is that curious Japanese leading “Ue” pronounced? 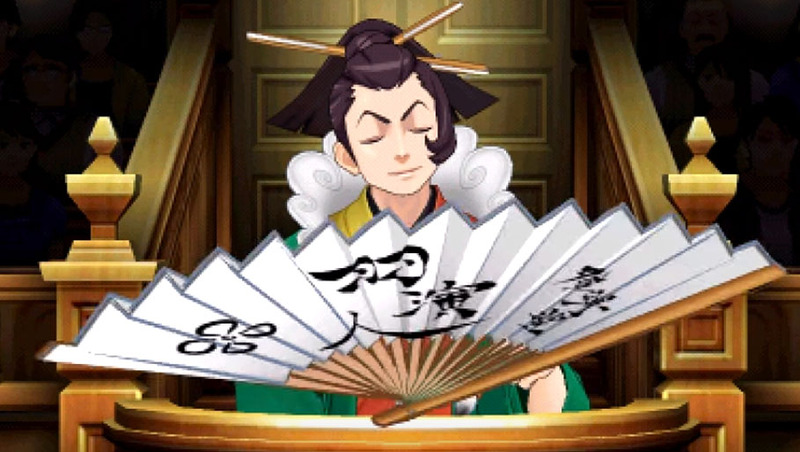 This occurred to me while playing Ace Attorney: Spirit of Justice, as it contains a character called “Uendo,” and I wasn’t quite sure what to make of his name. Vowels in Japanese are pronounced consistently even when they’re combined. It’s “Ooh-eh”. The “n” attaches to the previous syllable when it isn’t followed by a vowel, so it’s “Ooh-en-doh”. That’s something i’ve always wondered myself. Thanks for clearing that up. Ah, splendid. Thank you. That was actually my first guess, but there’s a line that suggests it may be pronounced “Wendo,” and then I wasn’t sure anymore. According to a wiki dedicated to the Ace Attorney games, his Japanese name while in the Uendo personality is 旋風亭 美風 (Bifuu Senpuutei) (FYI, they’ve reversed the romaji for some reason). So I would say it’s not a given that it can’t be pronounced like Wendo. Given that this name has the kanji for wind twice, and that 旋風 means whirlwind, it might be a subtle play on the on the Japanese meaning of his stage name. That’s not quite right. Japanese does not natively have the “weh” sound. It also doesn’t have the “wih” sound we use in the word “wind”. So “wendo” wouldn’t naturally occur in Japanese to begin with. But also note that the length in which you hold a vowel is significant in Japanese – a feature that the language absorbed from Chinese. So the “ue” in “uendo” would be pronounced quickly, and when you say them like that, it sounds a little bit like “ooweh”. So a U following a vowel is close enough to a W that you use it, and maybe people will get that it’s supposed to have the W sound because it’s a loanword. Or you can make the vowel that follows the U smaller to make it more explicit that it’s supposed to be a W sound, but that’s a non-standard thing which is only done for loanwords. For the record, the Japanese transliteration of wind is, ウインド or ウィンド, which is “uindo” or “windo” (using that non-standard “wi”). Tornado is トーネード or トルネード, which is “touneido” or “toruneido”. It looks like Uendo Toneido is only his name in the translation, so I’m guessing the translators either made up names or picked Japanese names that sounded close to the English words and it probably shouldn’t be understood as Japanese. Actually, to expand a bit more on this W stuff, in case you’re curious. If you look at a kana chart, you’ll probably see that the row is empty aside from “wa” and “wo”. My understanding is that there used to be a “wi” and a “we”, but the pronunciation of those ended up shifting to “i” and “e”, which there were other characters for, so they ended up being mostly dropped. There’s still used, but that might be because of a historical spelling or just for the sake of using a character you don’t see every day, so they might not even have the W sound. “wo” is still used in modern Japanese, but that’s often pronounced as “o”. The thing is that it’s hardly used anyway. It’s mostly used by itself as a grammatical particle, not as part of spelling a word. Since that grammatical particle is used in so many sentences, it would be much harder to change the spelling. That was basically my point. Since it isn’t actual Japanese, it doesn’t necessarily have to follow Japanese pronunciation. Made-up or not, they clearly made a Japanese name, which would logically be pronounced as a Japanese name. And UE at the beginning of a word isn’t possible in English, so few people would pronounce it “weh” even tho it should be the same as if it were WE. Most would probably pronounce it…ah, geez… “Yoo-en-doh”? English words surely can begin with ue; for many years it was the standard approach taken when Anglicising words that would otherwise begin with ü (such as the ubiquitous “über”), since the umlaut itself is nonstandard English (the practice, along with the overpowering majority of such words, was adopted from the German). Nowadays it’s a bit archaic, though, and most people drop the umlaut altogether. I find it interesting that the kanji selection means “winged performer person”. Are the other localised-to-other-Japanese-things names given kanji? I know Bucky Whet’s family name was given kanji which also means “heavy drinker” and that fits in with his alcoholism, so there’s obviously a lot of attention going into layering additional puns. Actually, the first Goonies game WAS released in America, but only on Playchoice 10/ Nintendo VS arcade machines, for some reason. Yeah, I heard that there was some sort of arcade version, good to know for sure, thanks! Haha, I watched it and was confused about the “Mr. T” mention. For a second I thought Mr. T might’ve sung the Goonies song at some point. Guy has a lot of nicknames, apparently. Here’s a related 80s movie NES adaptation. IN Rambo for the NES, if you say no to Colonel Troutman at the beginning of the game, he says the game doesn’t start until you say YES. Is this the same in Japanese. Thanks for this! Indeed, in Japanese the guy says the game won’t start until you say yes. Considering the Japanese had Doraemon drilled into their heads by the Famicom era, stuff like the Goonies would obviously resonate with them. If that “you’ve done well to come here” line is more of a standard greeting, would an equivalent English line (that would sound equally weird to outsiders) be our common “How are you doing?” greeting? That “You’ve done well to…” is a line you’d only hear in a game (or maybe a martial arts movie). They’re literally congratulating you on making it there. It’s not really a standard greeting in everyday stuff, it’s a common greeting in entertainment. I don’t think I’ve ever heard it used used in a completely straight way in real-life conversation. It’s always interesting to read about the “oddness” of some English lines. Maybe it’s tied on how English is taught as a second language, but most of the time, translations that you quality as “odd” and “unusual” look perfectly fine to me and something that I could have written myself. I’m stuck in the NES / SNES / gameboy era which is a small slice of overall gaming-ness, but I always thought Jaleco’s localizations could use some more in-depth analysis; for example, Brawl Brothers specifically http://gamewtfs.com/?b=78 but the whole SNES Rushing Beat trilogy generally (known in North America as the un-name-related, “Rival Turf”, “Brawl Brothers”, “The Peace Keepers”) would probably be good for some laughs.